Let me start off with a few things. 1. I’m sorry for the two month hiatus – I could blame it on the holidays/weather/travel… but the truth is I was just in a blogging funk. 2. Due to the break, my next Month Through My Lens will be epic! 3. While I was away, I experienced some firsts. I celebrated New Years in NYC for the first time which could have been hectic and crazy, but was wonderful and perfect and one of the best New Years to date, and I went to Disneyland for the first time and freakin’ loved it! P.S. get Dole Whip (pineapple soft serve) early in the morning when there is a short line. I think it makes for a good breakfast. 4. Okay, time to get down to business… Valentine’s Day! Some people are not fond of Valentine’s Day. Even in my early days when most of my friends had boyfriends to buy them cards or flowers or chocolate, I have always liked the holiday. Maybe it’s because my inner craft child gets to emerge and make fun cards for people. I always liked making cards for all the kids in my elementary school class, and then after college, I enjoyed getting together with girlfriends for a crafty day making valentines for whomever (the addition of mimosas or wine also made this craft day more exciting). Even now that I’m married, I still like sending cards to my girlfriends because who doesn’t like getting snail mail!? Another thing people don’t mind receiving is chocolate. 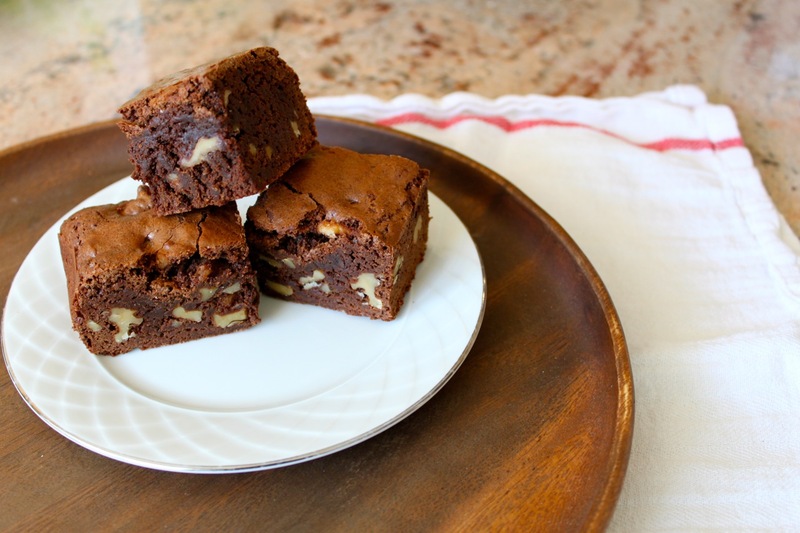 Since chocolate is a common gift on Valentine’s day, I have a recipe that will sure get you some extra lovin’ this Saturday. 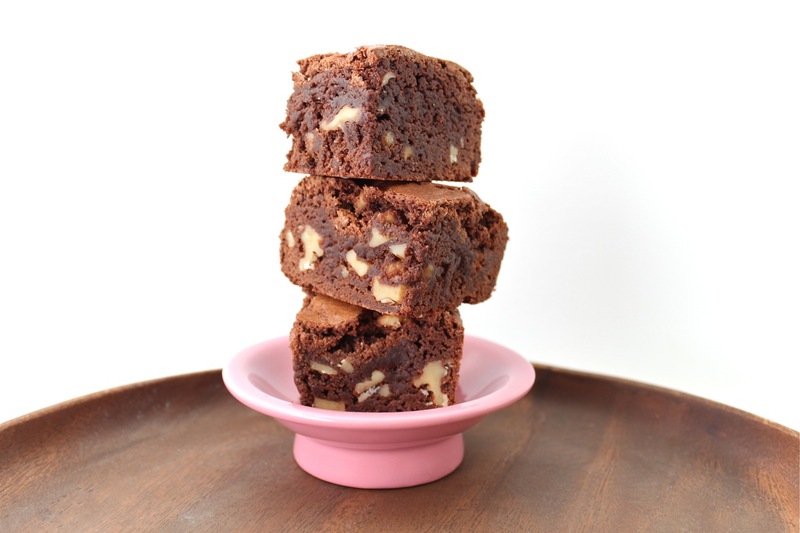 Skip the chocolate boxes from the drug store and give a box of these fudgy brownies. Nice and crunchy on the top, dense and chewy on the inside. The walnuts add a nice crunch. 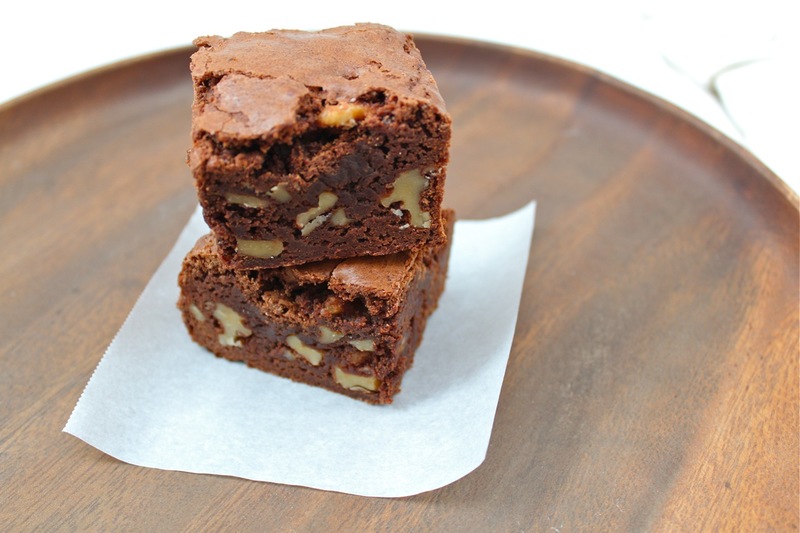 If you don’t like nuts in your brownies, you can add chocolate chips, or just go plain. 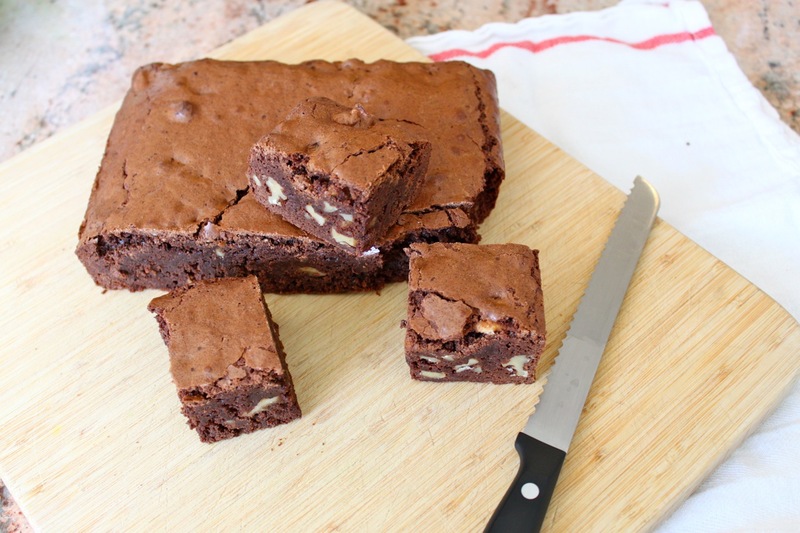 Categories: baking, chocolate, dessert, sweet | Tags: baking, bars, brownies, celebrate, chocolate, dessert, fudge, valentine's day, walnuts | Permalink. It’s a known fact that holiday season = baking season. While your oven works overtime baking all types of cookies, bars and sweet treats, don’t forget about some trusty standbys. 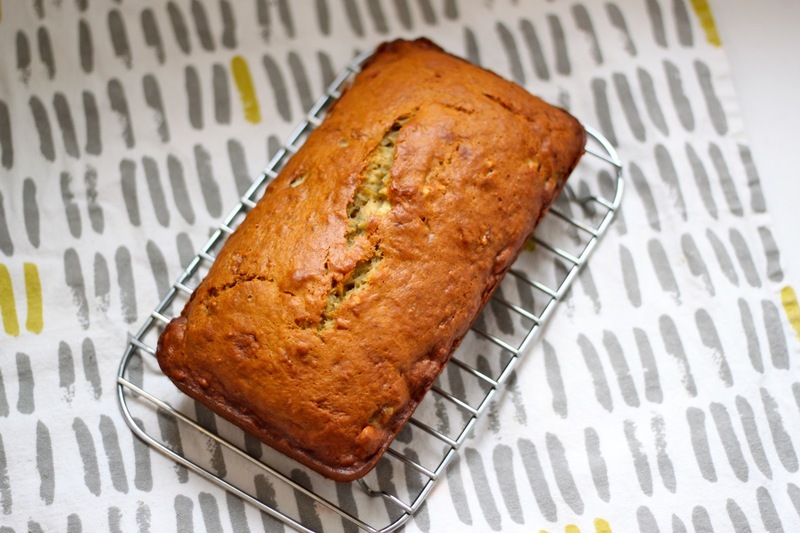 This banana bread is one of them. Of course it is a little dolled up with the brown butter, so it can totally be invited to the party with the gingerbread. You can leave out the walnuts if you want, but I like having the crunch in the soft, moist bread. 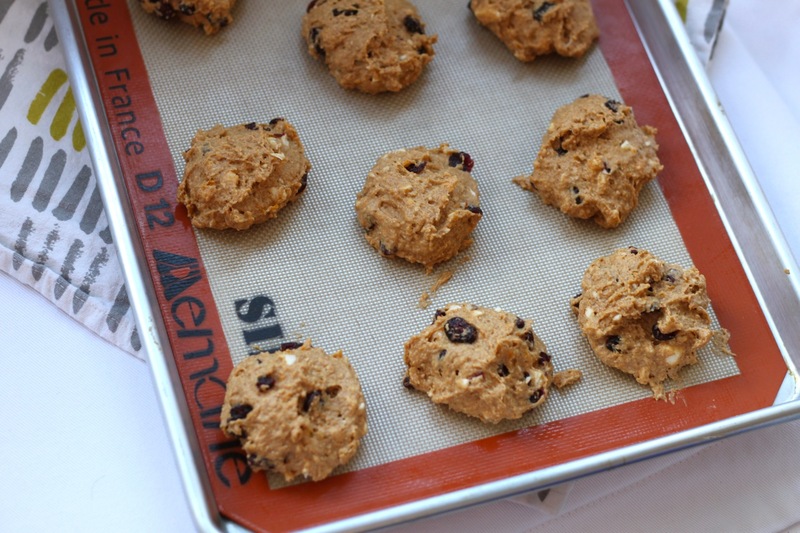 You can also add chocolate chips. I did both walnuts and chocolate chips in my second batch and oh man, it was crazy good. Definitely more on the sweet/dessert side, but I totally had some for breakfast too. 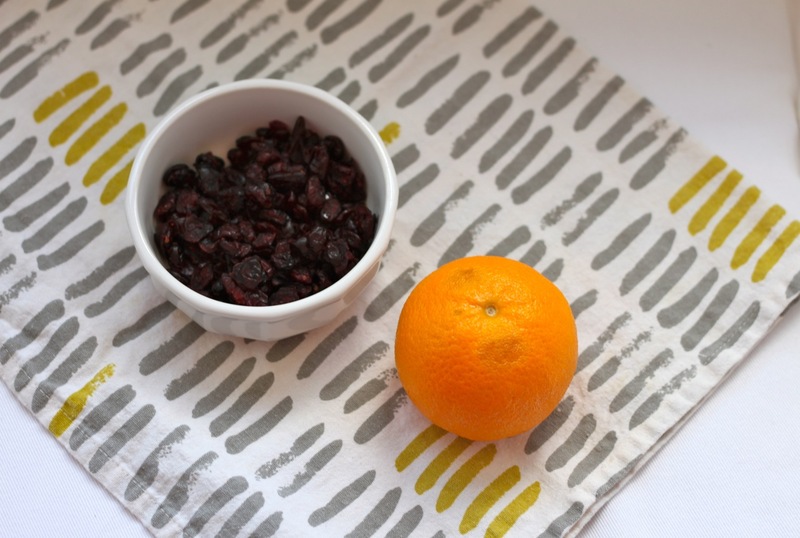 Chocolate for breakfast is totally a thing in my book. Above is after the batter is just mixed (don’t over-mix!) and the walnuts are mixed with the remaining flour. This is a little trick to help additions like nuts or chocolate chips not sink to the bottom of the bread while baking, but stay speckled throughout. This bread is easy to throw together and makes your kitchen and house smell AMAZING as it bakes. 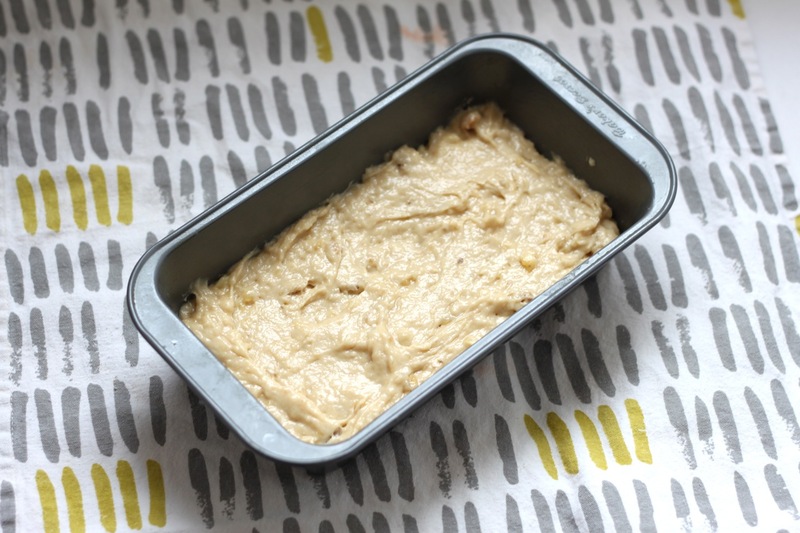 Even if you aren’t a big banana bread fan, bake it anyway and give it as a gift so you can a) get the smell all up in your house, and b) the person you gift this to will love you forever. 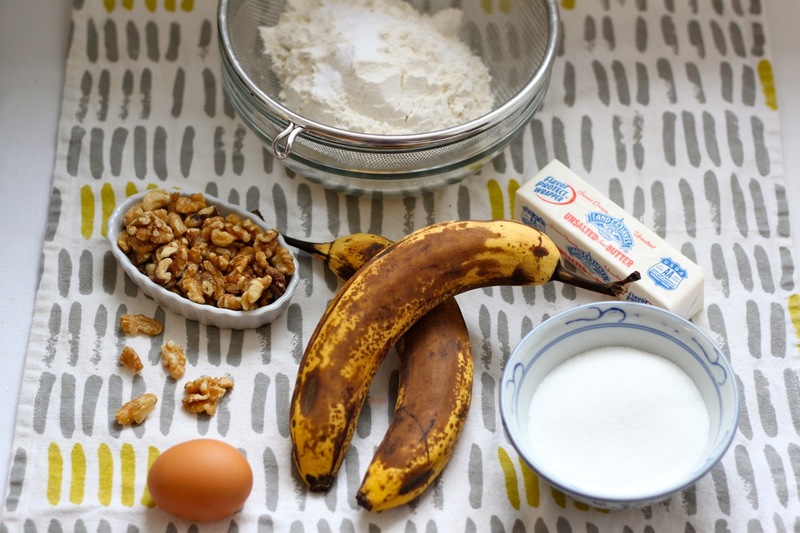 Categories: baking, sweet | Tags: baking, banana, banana bread, breakfast, brown butter, quick bread, walnuts | Permalink. Once the leaves start to turn colors and the temperature starts to drop, the first thing that seems to pop up is not halloween costumes, but pumpkin spice EVERYTHING. Walking down the aisles of the grocery store, I’m pretty sure 1/4 of everything there is pumpkin spiced. Cookies, pasta sauce, coffee/tea, cream cheese, pancake batter, even mochi ice cream (you can find this at Trader Joe’s). I won’t lie, I do love pumpkin flavored things… to an extent. I don’t need everything pumpkin flavored, but there is something comforting about a nice pumpkin bread or muffins. So recently I made some pumpkin chocolate chip bread (one loaf flew all the way to the West Coast) that left me with some leftover pumpkin puree. I couldn’t let it go to waste, so I made some pumpkin scones. These turned out a little cake-ier, more like a mix between a scone and a muffin top. Not that there is anything wrong with that – just wanted to let you know. Using a pastry cutter to cut in the butter into the dry flour mixture. 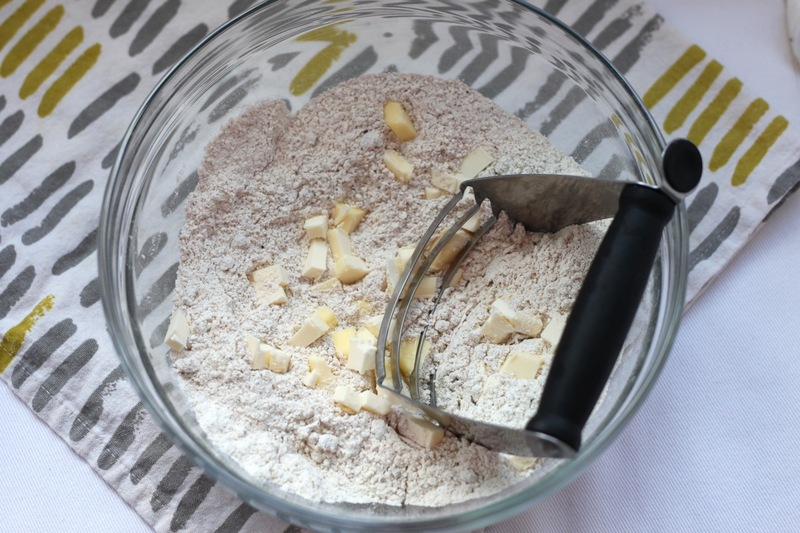 If you don’t have a pastry cutter, you can use two knives, a fork, or your fingers. If you use your fingers, work quickly so the butter doesn’t warm up too much. 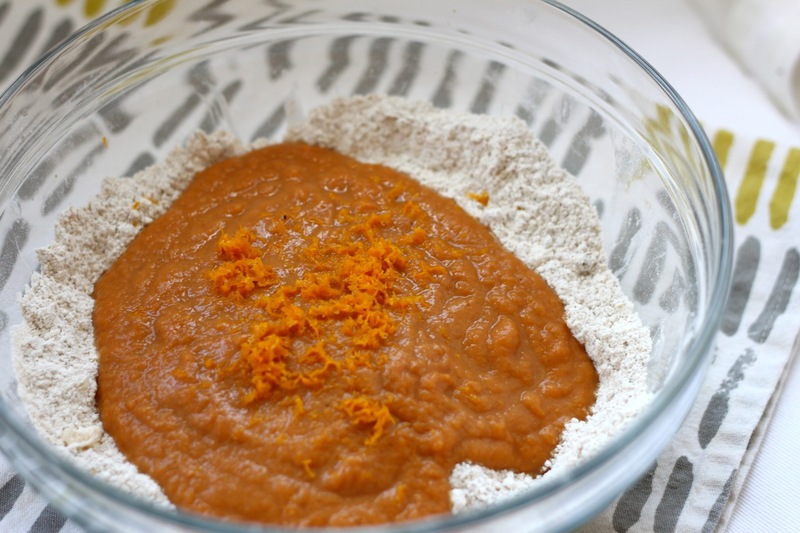 Dry ingredients, wet ingredients, and orange zest. An ice cream scooper works perfectly for making similar sized scones. Categories: baking, breakfast, muffins, sweet | Tags: baking, breakfast, brunch, cranberry, fall, muffins, pumpkin, pumpkin spice, scones | Permalink.